BBC reports that eBay is questioning the real ROI and benefit of them spending millions of dollars with Google through their AdWords program. eBay released a report claiming that paying for Google AdWords has little effect on sales. The Guardian has a copy of the 25-page PDF report. Um, well, have you ever seen some of eBay's search ads? Not the best looking, most convincing and highly crafted ads you've seen. Both on the ad copy side and on the keyword targeting side. Of course, ebay's ads were beyond pathetic, but that couldn't have had anything to do with it... oh no. 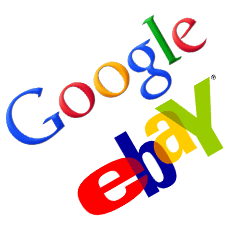 How much does eBay spend with Google? Well, we try to answer that over here. Update, Larry also wrote a blog post on this.